LONDON: It isn't quite a car, but this steam powered 1884 De Dion Bouton Et Trepardoux Dos-A-Dos runabout is claimed to be the oldest running motorized vehicle in existence. 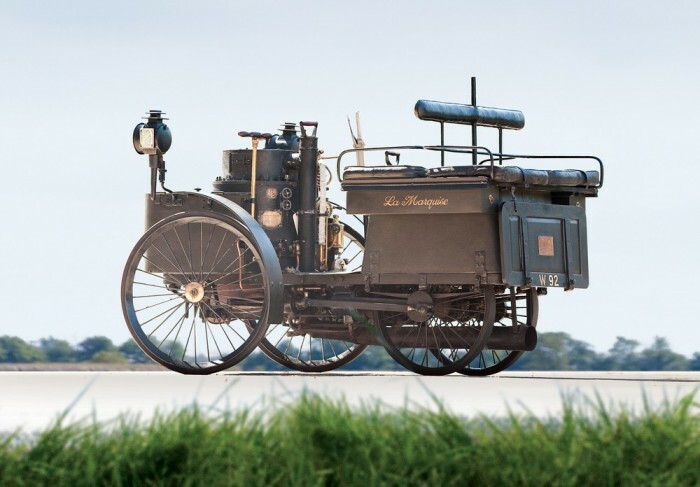 The 127 year old De Dion can reach 38 MPH thanks to it's twin compound steam engines which need a tank of water every twenty miles. Amazingly, this runabout has only had four owners since 1884. If all goes according to plan, this piece of history will find a fifth owner at RM Auction's annual Vintage Motorcars of Hershey auction on October 7. Pre-sale estimates have the De Dion selling somewhere in the $2-$2.5 million range.